In early 2015, the Ikon gallery in Birmingham will celebrate its 50th anniversary. Apollo’s Diary in the current April issue is written by the gallery’s director Jonathan Watkins. Ikon gallery in Birmingham is in its 50th year and I am its fifth director, appointed 15 years ago. This run-up to the anniversary, on 5 April 2015, is special not only for its accumulating spirit of celebration, but also for the reflection that it inspires, encapsulated by the archival work and other kinds of research brought to bear on the whole thing that is Ikon. We are finding out much more about the people who came before us – the rich tapestry of artists and audiences, stakeholders, critics and critical friends, board members and staff – and are keen to use this opportunity to convey our appreciation for their efforts as we push on into the future. It turns out that the story of Ikon is articulated, more or less, by successive decades, shaped by different venues – five, as it happens – and is coloured by the attitudes of different directors. I organised an exhibition in 2004 that focused on Ikon’s activity in the 1960s and then another in 2010 about the 1970s, and this summer, at the heart of our anniversary programme, we will present ‘As Exciting As We Can Make It. Ikon in the 1980s’ (2 July–31 August). Each decade saw significant shifts towards the place where Ikon is now – an independent, not-for-profit exhibition space, Birmingham’s flagship for the promotion and presentation of contemporary art. The voyage was choppy in places, sometimes perilous, but it was never abandoned. This is probably due to the strong ethos behind Ikon’s launch. Taking the idea of an ‘ikon’ as a mobile art object, the gallery has always asserted a refreshing realism with respect to the place of art in society. Supported from the first by a visionary couple, Angus and Midge Skene, the four artists officially listed as the founders of Ikon – Jesse Bruton, Robert Groves, Sylvani Merilion and David Prentice – were soon joined by others in order to help develop and articulate the original vision. Essentially they were a co-operative of volunteers; managerially democratic and non-hierarchical, they challenged a conservative local art world with a proposition that was as aesthetically adventurous as it was accessible. In 1965 Ikon first took up residence in an octagonal glass-walled kiosk in Birmingham’s brave new Bullring precinct, adjacent to the landmark Rotunda building, before moving three years later to a decommissioned mortuary in nearby Swallow Street. A concerted effort to develop audiences was signified by the relocation of the gallery in 1972 to a unit in the shopping centre above New Street Station. As elsewhere during the 1970s, Birmingham – industrial and culturally diverse – was characterised by local student sit-ins, strikes, counter-cultural collectives, union unrest and popular demonstrations. Within this lively context, Ikon developed progressively from being an artist-run space to having a much greater level of engagement, both nationally and globally. Simon Chapman, Ikon’s first director from 1972–78, devised an eclectic programme, notable for its emphasis on painting – ranging from large post-painterly abstraction to a ‘New British Realism’ – and the frequent inclusion of photography. The 1980s ushered in postmodernism, superseding post-painterly, conceptual impulses that characterised the preceding years with lively discourses around post-feminism, post-structuralism and post-colonialism. This was manifested through a plethora of styles that, in turn, conveyed an ‘anything goes’ attitude. There was the famous return to painting (figurative painting especially); a shameless appropriationism that saw artists ‘pick and mix’ from art history, non-western art and popular culture; and an enthusiastic re-embrace of Dada and the challenge to notions of self-contained works of art through the increasing popularity of installation. In Britain, particularly, postmodernism was a fast-moving zeitgeist that chimed with broader cultural shifts, especially the politics that evolved under the premiership of Margaret Thatcher. Ikon’s programme during this decade, under the directorships of Hugh Stoddart (1978–81) and Antonia Payne (1981–88), should be considered in this context. Under the directorship of Elizabeth MacGregor (1989–99) Ikon further developed its reputation by working with more international artists, giving local audiences deeper insight into the wider contexts in which British art, especially due to the rise of the Young British Artists (YBAs), was becoming increasingly engaged. At the same time, there was a community touring programme aimed at community centres, schools, hospitals, libraries and smaller galleries and museums throughout the West Midlands, consistent with an increased emphasis on art education. 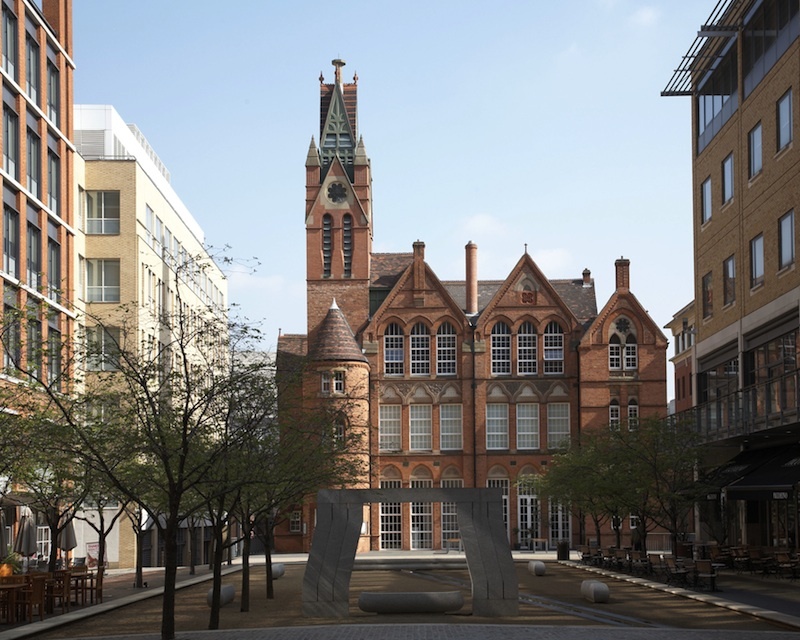 Such organisational reform strengthened Ikon’s case for its most recent move into the refurbished Oozells Street School building, Brindleyplace, in early 1998. And then it was my turn. Perhaps in five years or so I’ll curate an exhibition about the 1990s here, but certainly the next chapter in this ongoing history of Ikon is something I’ll happily leave to someone else.